U.S. stocks were under pressure Monday, as persistent pessimism over the global business climate weighed on markets. "Fear is creeping back into the global marketplace," said Peter Cardillo, chief market economist at Rockwell Global Capital. "But markets are still near their highs. And the underlying factor is that QE3 has put a floor in the markets, so any cautious trading is going to be limited." The Dow Industrial Average, S&P 500 and Nasdaq closed between 0.1% and 0.6% lower. Investors reacted early Monday to a report that showed Germany's business climate index falling to its lowest level since February 2010. This dragged on the euro and European markets, which closed between 0.2% and 1% lower. The dollar gained versus the euro, which is near a two-week low. In Asia, markets closed mixed. The Shanghai Composite edged slightly higher, while the Hang Seng in Hong Kong and Japan's Nikkei ticked lower. Investors remain concerned about a territorial dispute over islands that sit on a vast natural gas reserve. Japanese Prime Minister Yoshihiko Noda, who recently warned the dispute could hurt China's economy, will be in New York on Monday to attend the United Nation's General Assembly. U.S. stocks finished last week mixed, after two straight weeks of gains. Companies: Apple's (AAPL) stock fell more than 1% after the company said it sold more than 5 million iPhone 5 devices during its first weekend on the market. This was considered slightly disappointing. Separately, Foxconn, which supplies parts to Apple, shut one of its China plants after a brawl broke out. 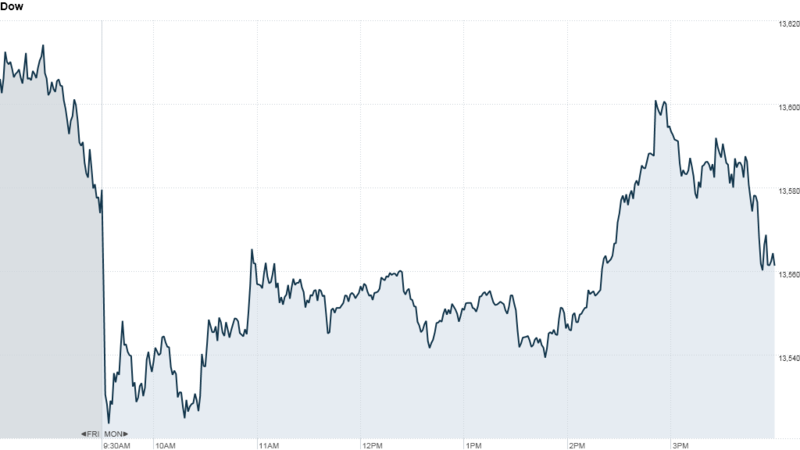 Google's (GOOG) stock hit an all-time high Monday, topping the previous record set in November 2007. Shares of the tech giant have rallied 15% this year, as it continues to dominate in search and makes strides with its Android mobile platform. Facebook's (FB) shares slumped another 9% early Monday after a Barron's story called the stock a bad investment. 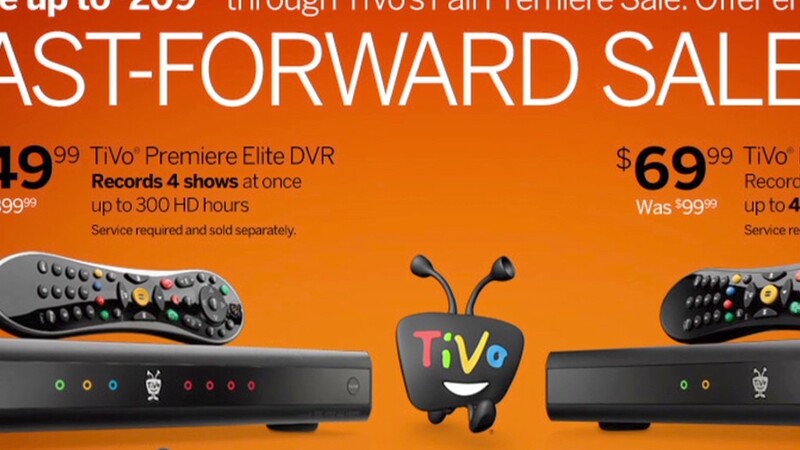 TiVo (TIVO) shares soared more than 4% after the company reached a $250 million settlement with Verizon (VZ) over a patent dispute. Shares of U.S. Steel (X) fell nearly 2% after Citigroup (C) analysts downgraded the company's stock to "neutral" from "buy." Citi also downgraded AK Steel (AKS) to "sell" from "neutral," sending the steel producer's shares down more than 4%. Homebuilder Lennar (LEN) reported better-than-expected earnings, sending shares of the company higher in early trading. The start of the week also marks the Dow debut of UnitedHealth (UNH), which replaces soon-to-be-split-up Kraft (KFT). Commodities: Oil for November delivery fell 96 cents to $91.93 a barrel. Gold futures for December delivery fell $13.60 to $1,764.40 an ounce. Bonds: The price on the benchmark 10-year U.S. Treasury rose, pushing the yield down to 1.72% from 1.76% late Friday.